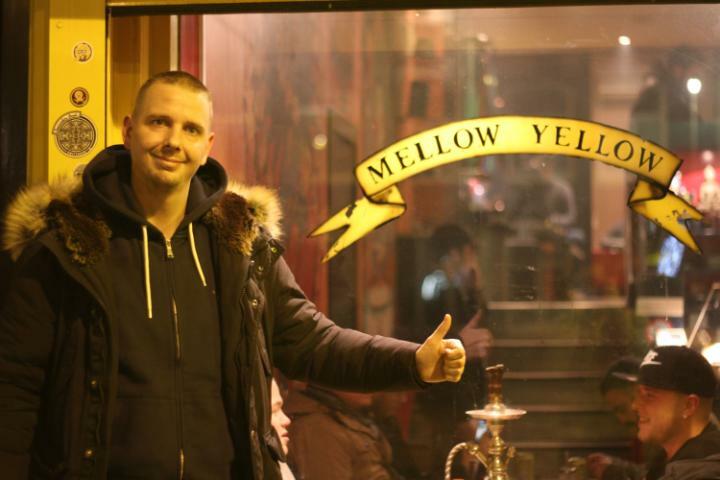 Thanks to new government regulations, the world’s oldest cannabis coffee shop, Mellow Yellow, has been forced to close its doors. The world’s first and oldest cannabis coffee shop was forced to close its doors at the start of the New Year. For more than 50 years, Amsterdam’s Mellow Yellow has been a hotspot for locals and tourists alike. Many made a trip just to enjoy the ambiance brought about from the iconic shop. Unfortunately, thanks to new government regulations, Mellow Yellow has been permanently shut down, no longer able to provide the calming and relaxing atmosphere it was known for. As 2017 was ushered in across the world, so were a host of newly agreed upon regulations for Amsterdam. In an attempt to avoid the Weed Pass, a law that prohibits non-Dutch nations from visiting cannabis coffee shops, Amsterdam agreed no coffee shop would operate within 250 meters of a school. This meant closing 28 businesses around the city, including the world’s oldest shop, Mellow Yellow. Opened in 1967, Mellow Yellow was owned and operated by Johnny Petram, a life-long cannabis enthusiast. While Petram knew the closing was coming, it was something he could have never prepared for. I tried to make the best of it but it was the worst day of my life. Mellow Yellow was the oldest coffee shop in Amsterdam and now it’s gone. 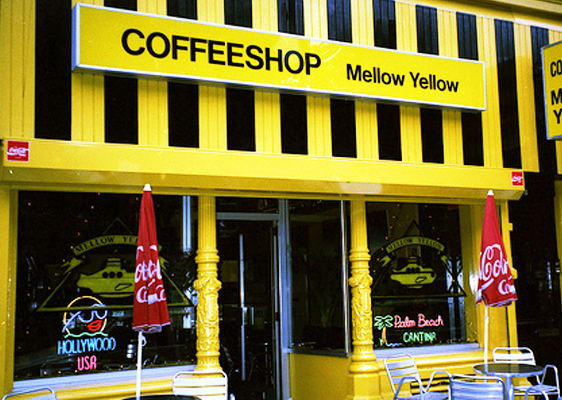 Due to the new regulations, Mellow Yellow was forced to close because of a nearby hairdressing academy, where most students are over the legal smoking age of 18. Patram fought the ruling in court, saying the students were not children. Unfortunately, due to dwindling resources, he was unable to continue the legal battle. Not only is Petram devastated by the loss of his business, he’s truly heartbroken over the peaceful and historical location his customers will no longer get to enjoy. I have Israelis and Palestinians in here smoking together. Even people who don’t smoke come here to have their photo taken. It’s part of the history of Amsterdam. Despite closing the current location, Petram hopes he will be able to find a new home for Mellow Yellow. In 1978, the original Mellow Yellow location burned to the ground, forcing the owner to rebuild at the store’s current address. Overcoming difficult times is something Mellow Yellow has become known for. The current location is not going to happen anymore. My focus is now on opening Mellow Yellow in another location. I’m going to make a plan and then I’m going to go to the mayor with it. While many city officials were sad to see the landmark close its doors, Jasper Karman, the mayor’s spokesperson, said it was a necessary measure to avoid enrolling in the Weed Pass. If we don’t strike a deal we would be forced to enforce the Weed Pass and then we will have big problems. In this way we can protect the remaining 167 coffee shops in Amsterdam. Petram will continue to seek ways to keep Mellow Yellow open. He has made it very clear to the ruling bodies that this will not be the end of his world renowned coffee shop. I will keep on fighting to save the oldest coffee shop in the world. I hope I can convince the mayor to let me reopen somewhere else.